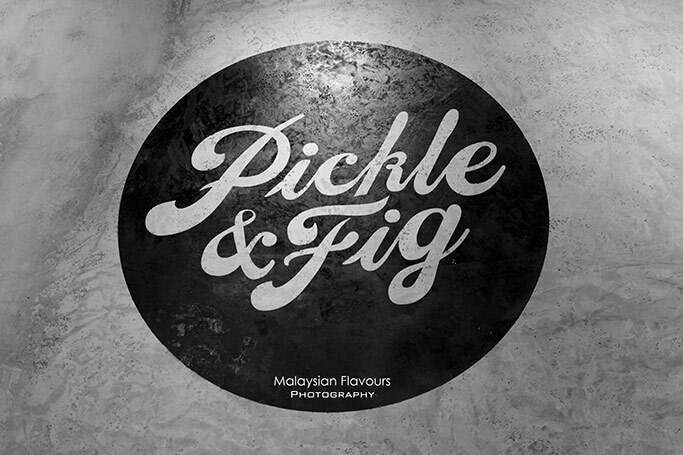 Pickle & Fig serves decent coffee, but may not be the latest and best coffee place in TTDI. 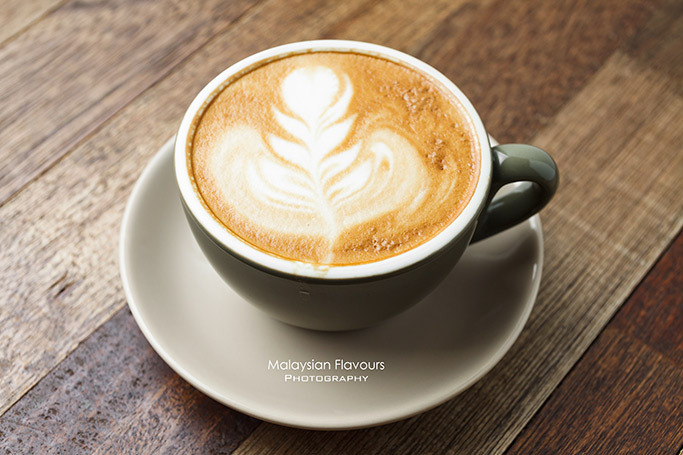 Being shortlisted as one of the Best Healthy Eats by TimeOut KL 2013, this has somehow reveal why they don’t get the Best Coffee crown – smoothies, sandwiches mixed and matched using unexpected healthy ingredients, has proudly steal the limelight. 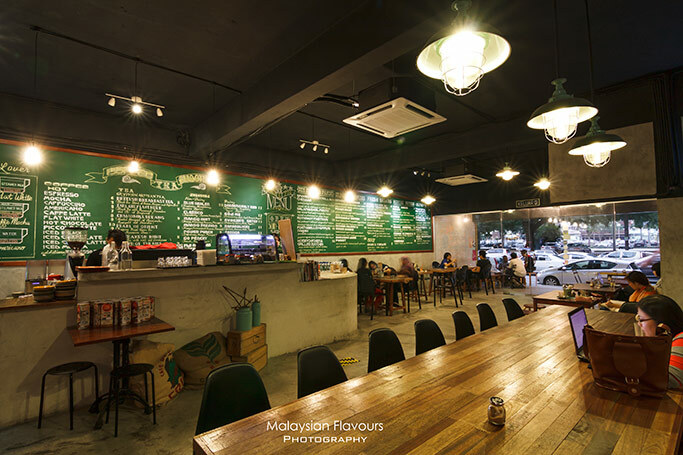 Located along Jalan Tun Mohd Fuad 2, TTDI, Pickle & Fig appears to be simple in terms of interior- polished concrete floors and walls, shade lamps hanging from dark ceiling, handwritten menu on chalkboard, wooden furnitures lined up at both sides of the cafe, clearing up a spacious path in the middle to create wider space illusion. Coffee is on the pale side, more milky, less bitter. 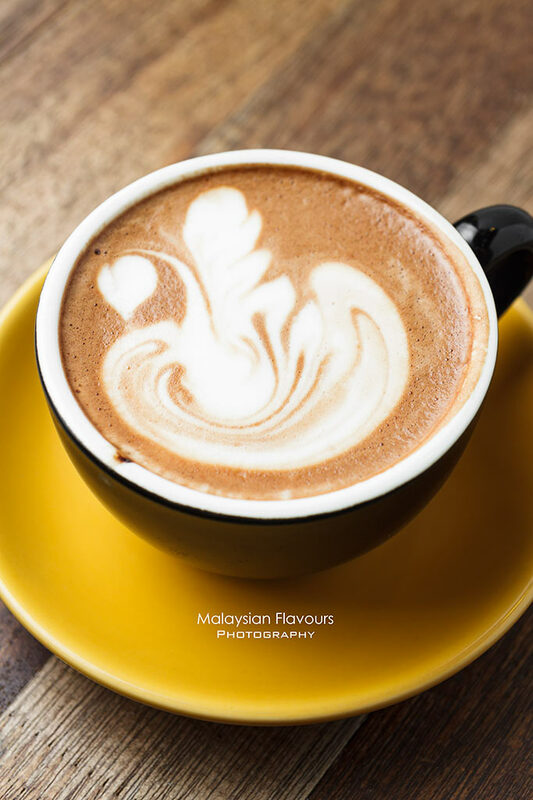 In case you are still in doubt on the difference among cappuciono, mocha, latte, americano, flat white and espresso, check out the drawing that clearly shown you the proportion of espresso, steamed mlk and milk foam for each drink. 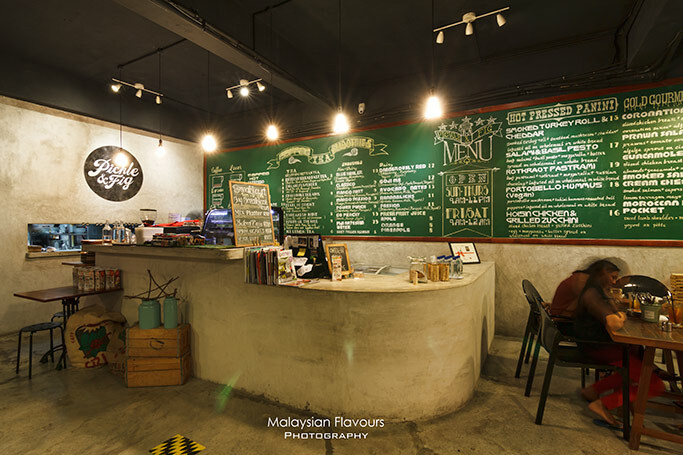 We stick to only their coffee during our visit, but it is recommended to try out their smoothies, as these are the beverages Pickle & Fig specializes in. Creative name with healthy match of ingredients, such as Blue Healer is a combination of blueberry, blackberry, banana and apple; Dangerously Red is made from strawberry, raspberry, orange, apple and yogurt, etc are all noteworthy. 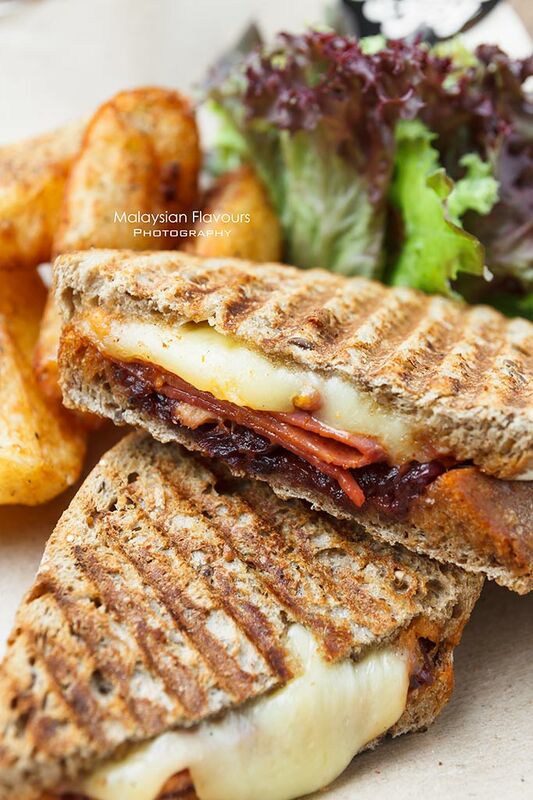 For food, the must have is Rotkraut Pastrami Hot Pressed Panini, signature in Pickle & Fig. 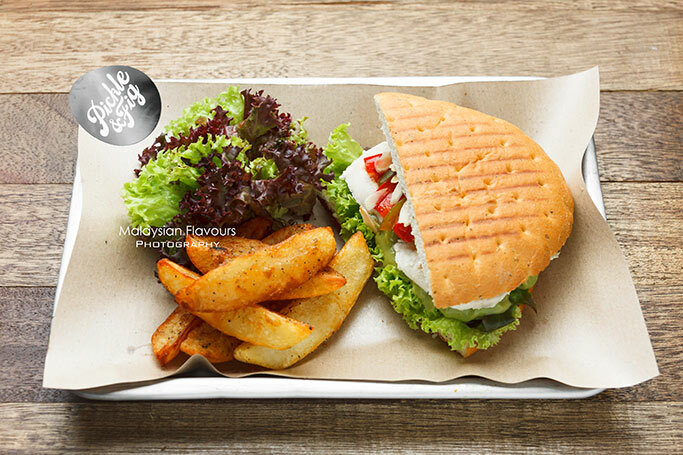 It highlights Rotkraut cooked in vinegar and apples, delivering juicy sweetness that adds moist to the beef pastrami, together with melting good mozarella cheese and Russian dressing which is always said to be perfect with beef sandwich. 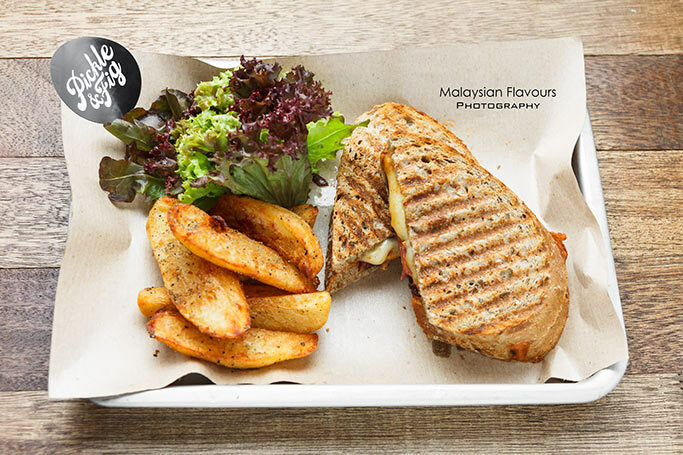 Other panini choices include Smoked Turkey Roll & Cheddar (smoked turkey roll+sautéed mushroom+ cheddar +infused oil on whole meal or white bread), Salmon & Basil Pesto( beef salami+ basil pesto + mozzarella + butter spread on wholemeal or white bread), Portobello Hummus ( portobello + tahini hummus + toasted bell peppers + infused oil on wholemeal or white bread) and Hoisin Chicken & Baby Spinach. 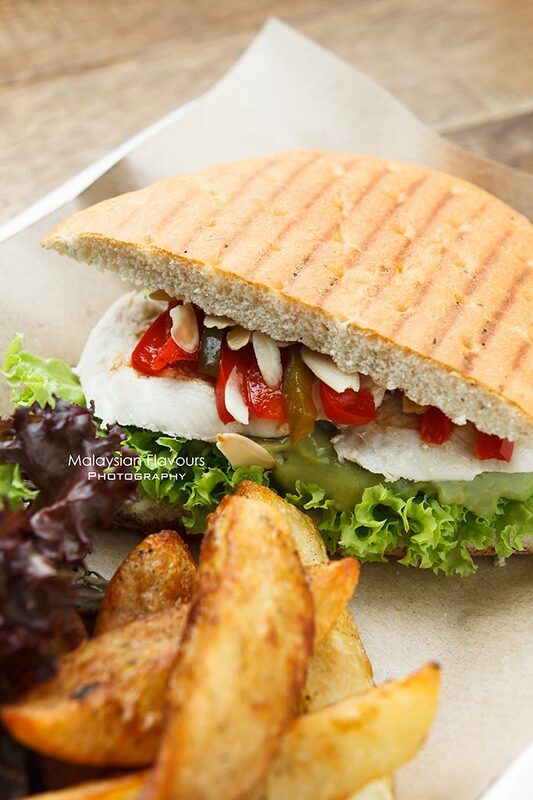 While Summergirl loves the plentiful layers of flavours and textures showcase by chewy sliced chicken breast, toasted bell pepper, crispy toasted almonds, creamy guacamole and refreshing mixed green sandwiched within focaccia bread, this Guacamole Chicken from Cold Gourmet Sandwiches section can be pale and ‘too healthy’ for some. 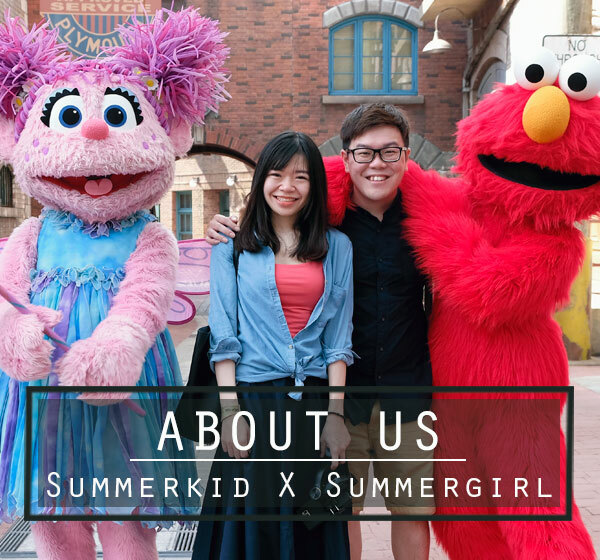 Head over to the only few mains available if you can’t live with just bread like Summerkid. 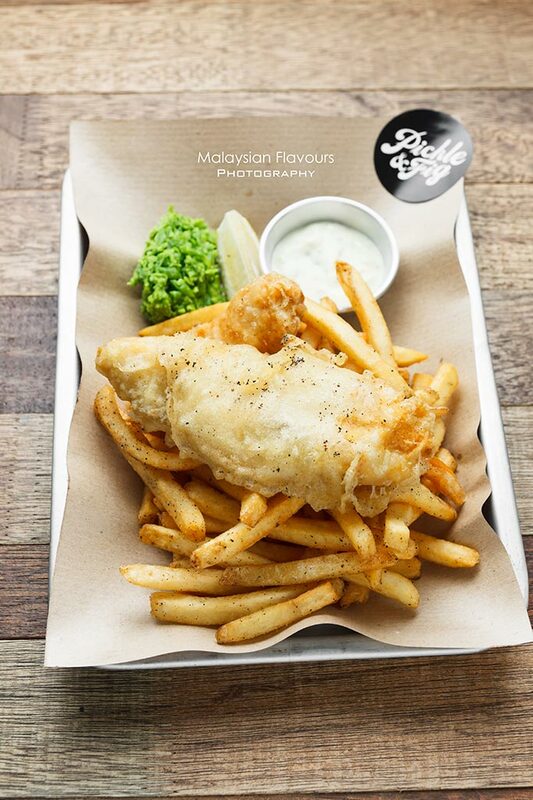 We tried out fish and chips- huge pieces of yeast battered fish deep fried into golden brown, sided with fries, tartare sauce made from scratch and mashed pea to round up some healthy note. 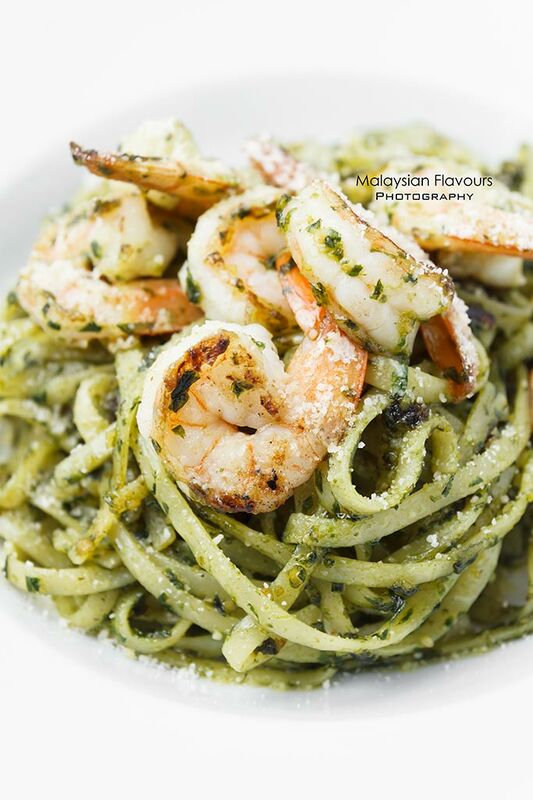 Pesto base pasta, tossing basil pesto with linguine, sautéed shrimp, topped over with Parmesan cheese. Beef Bolognese Pasta(RM19.00) and Smoked Salmon Carbonara (RM22.00) are on the pasta menu too, providing more choices for those who prefer tangy tomatoish and creamy white sauce base pasta.